So What Happened to Volvo's Pedestrian-Detection System During the Fatal Uber Crash? 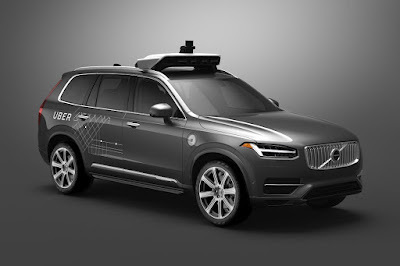 Dozens of questions relating to the driverless Uber-operated Volvo XC90 that struck and killed a woman in Arizona last week are still left unanswered. But one of them, pertaining to Volvo’s advanced pedestrian detection system, has been answered by Aptiv Plc, one of Volvo’s parts supplier. Apparently, Uber disabled Volvo’s collision-avoidance technology which could have prevented the fatal accident. It’s standard practice to disable other crash avoidance systems as a company (Uber in this case) develops their own autonomous driving system and Aptiv is merely speaking up to avoid being tainted by the fatality involving Uber. Meanwhile, Intel Mobileye which makes the chips and sensors used in collision-avoidance systems and is a supplier to Aptiv tested their own software. Mobileye says it was able to detect the cyclist one second before impact in its internal tests. This is despite the poor second-hand quality of the video relative to a direct connection to cameras equipped to the car. For their part, Volvo says they cannot speculate on the matter until a full investigation has been completed.